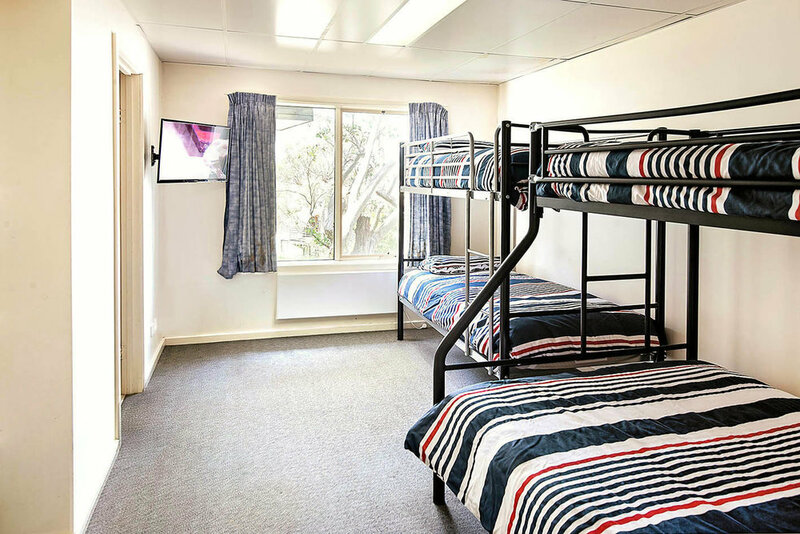 Reindeer offers modern, well-appointed family accommodation comprising 4 rooms each with private ensuite, 22 bunk-style beds with two 5-bed rooms and two 6-bed rooms. Every room includes ensuite bathroom with heated towel rails, shelving units and hanging space, areas to store luggage, in-room entertainment and dedicated heating, so you can keep your room as cosy as you like! Doonas and pillows are supplied, and for a fee, a full linen service can include sheets and towels. Our dining and living spaces are modern and open-planned with a fully equipped communal kitchen, living area with smart TV, device docking stations, fireplace, central heating and expansive windows with great views. Plus, we offer a free wifi service! The drying room is conveniently located off the entry hallway and living area. 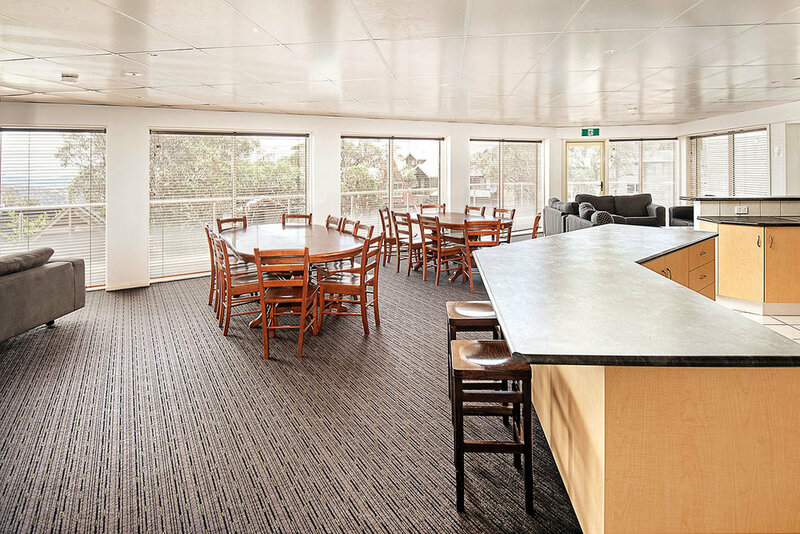 BBQ facilities can be accessed via the external balcony outside the dining room. Our onsite manager is available throughout the winter season to assist in the smooth day-to-day management of members, guests and visitors. Reindeer Ski Club is located on “The Avenue”. To get there, turn left at the village clock tower and then next right (at the “Tee” intersection) onto The Avenue. Reindeer is about 200 metres up on the right, just before Breathtaker Road. Most guests will not have a vehicle access pass and will park in the long-term car parks, being assisted by over-snow taxi to the village and lodge. At the entry gate at the base of the mountain in Mirimbah, you can purchase your taxi fare along with your mountain entry.